This extension may as well have been a conservatory with the amount of glazing it held! Resi turned an unused side return into a light and airy kitchen and dining space that could be enjoyed by the whole family. 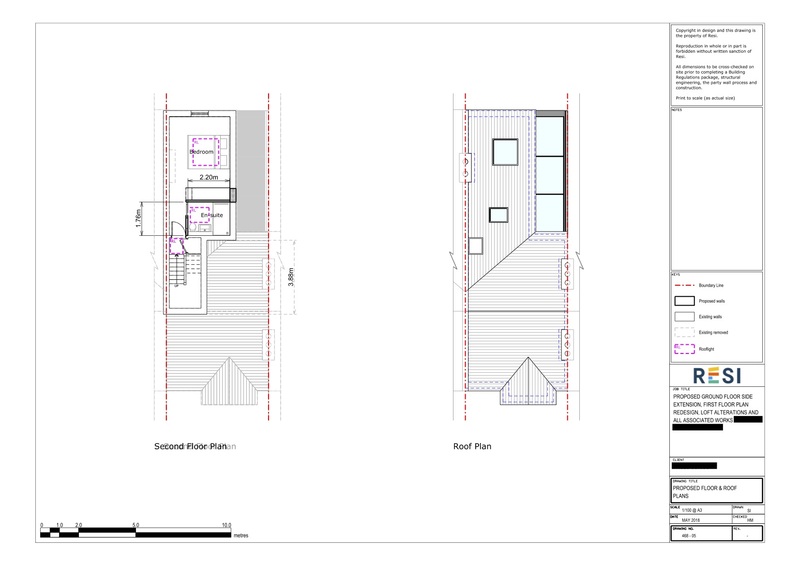 This project was carried out under householder planning permission which was granted on 19th July 2018. 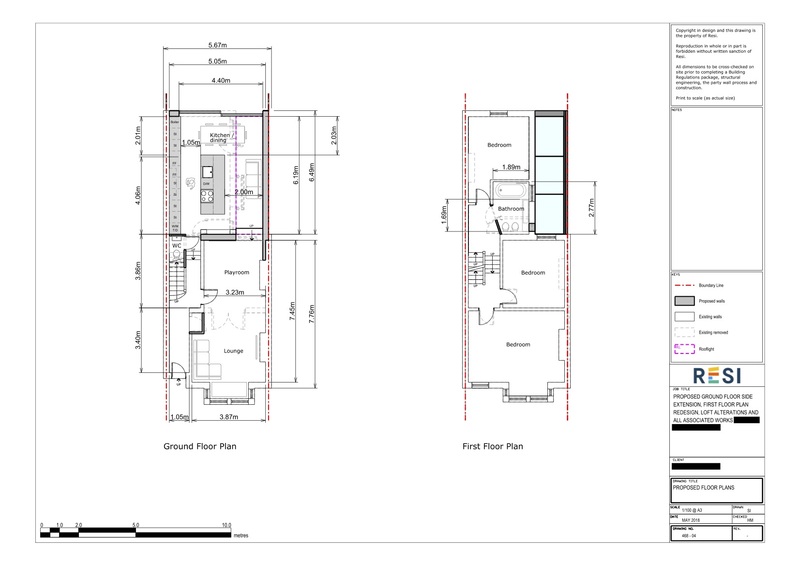 Our client was looking to undergo a ground floor side extension, with internal alterations to the layout of their Victorian home. For the ground floor, they wanted to use the new space for a kitchen, with lots of glazing for the maximum amount of natural light. On the first floor, they simply wanted to combine the two bathrooms to create an enlarged bathroom. For the loft, our client wanted to add an ensuite to the only loft bedroom. 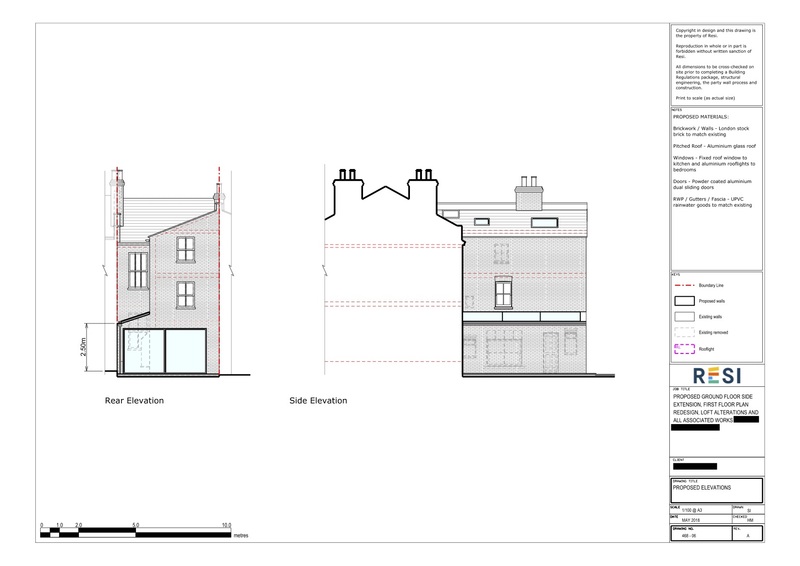 They wanted the developments to be in keeping with their current style - victorian at the front, and very contemporary at the rear. I took their ideas on board and designed an open plan kitchen and dining area to fill the side extension, with a very large central island in order to nicely break up the space. This room was fitted with modern frameless sliding glass doors looking out towards the garden, and a glazed roof that expanded across the entire extension. The ground floor space towards the front was then converted into an open plan playroom and lounge, so the parents could read the newspaper in peace while keeping an eye on the kids. The first floor bathroom was enlarged by the removal of the dividing wall between the two. For the loft, an ensuite bathroom was made out of unused bedroom space, with a skylight fitted in the bedroom, ensuite, and stairway.